This song has been spinning in my head this Palm Sunday and the lead up to Easter. There is something about the Bible going into real time this week, that plays with my spirit. So not being an expert of Paul Kelly (just a fan really) I am overlaying my framework of this week on his writings. Of course I also would argue that this is what we all do anyway – just without the preamble. Those who know me would have heard my rants about Palm Sunday and practicing ‘missing the point’ in our churches. I guess in following the Holy week this year, I am reflecting on the Monday after Palm Sunday. In Mark 11, you will see that on Sunday Jesus comes in “triuphantly” (inspired headings of the bible) into Jerusalem as the ‘answer to your prayer ..from the great nowhere.’ But he does not take over powers of empire etc but does a quick reconnaissance of the temple and heads off to Bethany. Jesus’ teachings and his way has ‘rocked our heads‘ and we are all impressed by the ‘multiplying fish and bread’. Following his way is excit ing and confronting being a part of building a better world based on radical love. Certainly if any figure in history has been ‘canonised, demonised, moralised, sermonised’ (here even) ’sold the rights and serialised’, it is Jesus. On monday he returns and trashes the temple, much ‘like a sleeping time bomb‘ and a ‘heart crying enough!’ he confronts oppressive exploitative religion. So what about us? Are we about to break? When and over what issue will our hearts cry enough? To be heaven sent to spill our stuff? Maybe it was the Close the Gap actions last week or the indigenous focused preamble of the UCA (and the discussions surrounding it) or maybe just Paul Kelly’s continuing reflections on aboriginal injustice but I found myself thinking, “when will our heart cry enough!”. When will we find a way to recognise the first people in this land and close the gap. Is this just my response? Probably. As I write, my inbox has emails about human traffiking, peace activism, Non Violent Direct Action, human shields groups and global poverty engagements. So I know that people are called to various causes and I find a sense of admiration (maybe a bit of jealously) for people who are fully engaged in the issue that caused them to break. Yes, I am talking about my peace buddies, youth workers, social workers, those adopting orphanages and rehab centres OS and here in Australia. I am certain that those that have found their issues, like Jesus, act because their ‘heart is full of love‘ for people and they did break. Hearts break over people. They don’t have the answers, they don’t have ‘tactics’ but they act because they did break. God broke and Jesus broke for us. God’s love for us was revealed in Jesus at Easter by the cost he faced, the life he lived and the grace we know. Happy Easter – I pray we’re about to break. 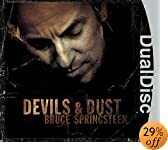 Devils & Dust is another collection of hymns, stories, songs and acoustic poems from the folk-musician-come-rocker-come folk musician Bruce Springsteen. One of Bruce’s strengths is the ability to tell stories of people while also sharing pieces of himself. The cd “The Rising” was one that caught my ears and my heart as he shared his grief and responses to the events of September 11th 2001, the lyrics, raw spirituality, questions and stories that echoed throughout that remarkable album were enhanced by his honest and simple musical skills. In Devils & Dust Bruce picks up his huge collection of guitars, sits in front of a microphone and belts out a new batch of honest, raw and self-aware songs. Many of the songs on the cd were recorded in one take, hence why Silver Palomino seems to skip around alot, sometimes missing words or in some cases seeming to miss entire lines. I placed the cd into my home stereo, turned off the lights and sat back as he told stories of faith, fear, family, prostitutes, soldiers and friends. The listening experience was almost like sitting in a small pub with Bruce hammering out songs on his guitars to a small number of onlookers. 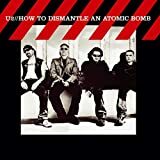 The title track tells a story of a soldier on “the front line” with the stresses of having to tell if the people coming towards them are friend or enemy or innocent bystanders. In the song we’re transported to the front line, sitting by the side of the soldier asking questions of faith, love and war while having the job of protecting his brothers in combat. 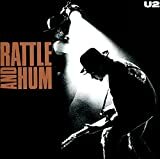 The lyrics “I’ve got my finger on the trigger, cause tonight faith just ain’t enough” echo throughout the entire CD as we meet a number of people all with their own spiritual searches and personal battles to face. The lyrics to Devils & Dust also hit other spiritual questions about what side is God on in a war, the power of fear, of who was on the right and who was on the wrong, questions of someone who has the power of death in their hands while also having the frightening responsibility of choosing who is the enemy and who is a friend. It’s not an easy song to listen to, it picks you up out of the couch and into a place where you see through the eyes of the soldier that’s there on the front line. I’ll reflect more on a couple of the songs like “Jesus was an only son” in a later post, possibly in July but there’s no doubt that this is a cd of songs sung by a man with a good sense of what makes a good story, and better still what makes a good song. The songs aren’t “Christian,” but then again, Jesus’ parables weren’t exactly seen as sacred by the people of the time, this is a collection of stories about people as told by a folk musician who has re-discovered his calling as a musical story teller. 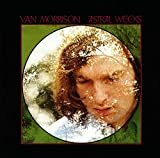 For me, the best of Van Morrison’s songs are expansive landscapes in which you are invited to wander. It was the wonderful, rambling [sic] Summertime in England (from 1980’s Common One) which introduced me to his music. It’s an incredible evocation of an England that never was, an England charged with mystery in which Jesus went walkin’ down by Avalon. Morrison also namechecks Wordsworth and Coleridge, smokin’ up in Kendal, Eliot, Blake, Joyce, Yeats, and the great gospel singer Mahalia Jackson, her voice coming through the ether. It’s typical of his magpie gathering of religious traditions, literary references, poetic streams of consciousness and images and music drawn from the wellsprings of soul, jazz, folk, blues and gospel. But that’s not the song I’ve chosen for this series. Madame George is found on what is generally accepted to be Morrison finest album (and my own first choice for a desert island), Astral Weeks – his first ‘proper’ solo release in 1968.Astral_weeks Throughout, the musicianship is inspired, swirling around Morrison’s vocals which seem to combine song and speech: the virtually perfect match between music and vocals seems incredible once you learn that there was virtually no communication between Morrison and the session players during the recording, and that the strings were overdubbed at a later point.